We’ve all heard that good things come to those who wait, but in the case of water, it’s especially true. It’s easy to get your water from a public water source, but what are you compromising by consuming liquids from such an open source? Well drilling in Bruce Township is a careful process for many reasons, and every single one of those reasons is important. That’s why professional well drilling companies like Ries do their best to make sure they have up-to-date technology and trained professionals. They guarantee to give a homeowner and their family fresh, pressurized water. Here are some reasons explaining why well drilling in Bruce Township isn’t fast and easy and why that’s a good thing. Amateur well drillers will do a sloppy job of drilling your well and then expect to get paid for poor craftsmanship. Wells should be dug and installed carefully without rushing the process. A professional will do what it takes so the water stays clean and the well keeps its durability for a long while. Rushing this sort of process may lead to dangerous health hazards for everyone in your household. If the well isn’t clean, then it’s not likely the water will be either which is why the process needs to be done right. Although technological advancements have led to faster well drilling in Bruce Township, training the right people to handle that equipment is what keeps everyone safe. That includes the workers and the families that will be using the well. An untrained person handling the well drilling equipment will damage a Michigan homeowner’s yard. Not to mention, they may not install the well properly which can lead to compromised water quality in the future. Professionalism in a well drilling company is crucial for the safety of everyone involved. Hiring a well drilling company to install a well for you is better than trying to do it yourself. The only other option is to send chunks of money to a public water source, especially if you live in a rural area. Just trying to get the equipment yourself will be costly. And without the proper experience, any damages you cause with that machinery will lead to more expenses. Avoid all of that and hire a professional well drilling company to handle the task for you. You’ll save a ton of money on utilities since the water will be yours and only yours. You’ll only need to pay for the installation itself and maintenance checks. The benefits of well drilling in Bruce Township bring a good compromise for you, your wallet, and your household. Well drilling in Bruce Township is a tough job, but it’s worth it. Fresh water can continue to make its way to families that are tired of settling for impure water. 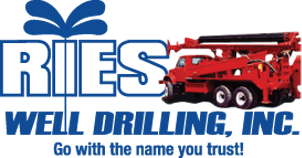 Invest in a personal water source and contact Ries Well Drilling Inc. to discuss getting your own well today.